Each February is National Children's Dental Health Month. 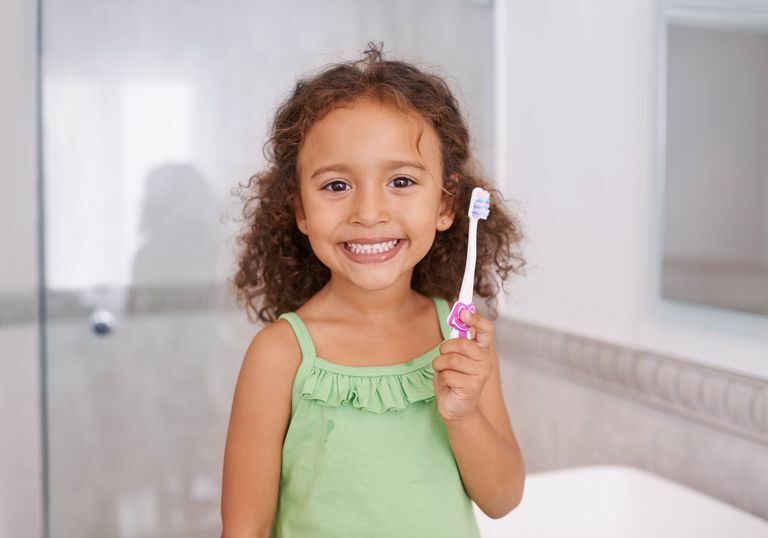 During the month, the American Dental Association (ADA) sponsors a campaign to raise awareness about the importance of good oral hygiene for kids. Children have 20 primary teeth—also called milk teeth or baby teeth—at birth, though none are visible. The teeth usually begin erupting from the gums when a baby is between 4 and 7 months old. By the time most children are around 3 years old, they have their full set of primary teeth. They begin losing these teeth when their permanent teeth begin pushing their way through the gums at around 6 years old. Adults have 32 permanent teeth. There are four different types of teeth. Incisors - The four top and bottom teeth. Canines - The teeth on either side of the incisors. There are two on top and two on bottom. Bicuspids - These are the teeth next to the canines. They are sometimes called premolars. There are four bicuspids on top and four on bottom. Molars - After the bicuspids come the molars. There are four on top and four on bottom. The last four molars to emerge are called wisdom teeth. They come in when people are around 17 to 21 years old. Many people have to have their wisdom teeth surgically extracted. Children should brush their teeth at least twice a day, in the morning and before bed. Brushing after each meal is even better! Use a fluoride toothpaste and a small, soft toothbrush. Floss twice a day to remove plaque. Plaque is a film that forms on teeth. It contains bacteria that can cause gum disease if not removed. The history of dental care is interesting. There are records of ancient cultures such as Egypt and Greece having dental care practices. They used substances such as twigs, pumice, talc, and ground oxen hooves to clean their teeth. Any time is a good time for children to learn to maintain proper oral hygiene. Whether you're celebrating National Children's Dental Health Month or teaching your children to care for their teeth any time of year, use these free printables as a fun way to discover the basics. Use this vocabulary sheet to introduce your students to the basics of dental health. 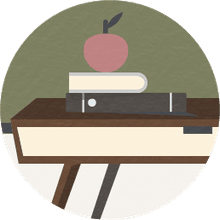 Let children use a dictionary to look up the definitions of any unfamiliar words. Then, they should write each word on the blank line next to its correct definition. Does your child know what causes cavities and what he can do to prevent them? Does she know that tooth enamel is the hardest substance in the human body? Discuss these facts as your children search for words related to dental health in this word search puzzle. Use this fun crossword puzzle to see how well your children remember the terms associated with dental hygiene. Each clue describes a word related to dental health. Let your children show what they know about dental health with this challenge worksheet. They should choose the correct answer for each definition from the four multiple choice options that follow. Young students can review what they've learned about oral hygiene while practicing their alphabetizing skills. Students should write each term from the word bank in correct alphabetical order on the blank lines provided. Use this printable to allow your students to draw a dental-health-related picture and write about their drawing. Learning the parts of the tooth is an important activity when studying dental health. Use this labeled diagram to discuss each part and what it does. Let your students color this picture as a reminder that brushing their teeth at least twice a day is a vital part of good oral hygiene. Visiting your dentist regularly is also an important part of caring for your teeth. The next time you visit your dentist, ask him to show you the instruments he uses and explain the purpose of each. Just for fun, play dental health tic-tac-toe! Cut the paper along the dotted line, then cut the playing pieces apart. For greater durability, print on card stock.